In our youth, most of us spent time cutting grass. Whether it was for family or our neighbors, toiling away behind a lawn mower earned some spending cash. As adults, many of us continued this job. It was rewarding, fulfilling, and hard-work. Being a landscaping entrepreneur means we get to work for ourselves. We’re the boss. That also means an initial investment. 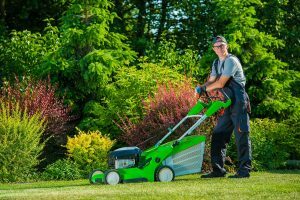 As an entrepreneur, you need commercial lawn equipment. Your biggest expenditure to start will be a reliable vehicle, typically a truck, for hauling and transportation. You’ll need to connect a trailer to the hitch, which is why a truck is optimal for this profession. Most landscaping professionals recommend a heavy-duty flatbed truck (with at least one toolbox). Your trailer, on the other hand, can begin at 5-by-10-foot with 12-foot rails and ramp gate. This utility trailer is large enough to hold your essential equipment, including fertilizer, shears, safety equipment, and, hedge trimmers, for example. When it comes to cutting grass, there is a dizzying array of commercial lawn mowers available. These days, a self-propelled mower is the most valuable investment. Mowers typically come with attachments, including mulchers and side catchers. These can make the job easier but raise your initial investment cost. Despite what many think, riding lawn mowers are not always suited for the job. When it comes to mowing hills and small yards, a walk-behind mower does the work just fine. For this time of mower, however, a floating deck is a necessity you must not skimp on for summer landscaping. All-in-all, the initial cost is high. The results are worth it, though. You’re your own boss. For professional landscaping services, contact Blooms Landcare by calling (817) 688-5352. We’ll survey your yard and prepare a solution specifically for your needs!